Launched in 2008, Hulu quickly became the leading streaming service for both live and on-demand television and movies. As Hulu continues to grow year after year, the streaming giant has become a leading employer. Did you feel accomplished when you landed a job with Hulu? When you started working at Hulu, did you ever expect that you would be wrongfully terminated? If you believe that you were wrongfully terminated from your position with Hulu, you might have grounds to pursue legal action against the streaming giant. What led to your terminated? Do you believe that your termination was illegal? If you believe that you were wrongfully terminated, it is essential that you seek legal assistance as soon as possible. The wrongful termination attorneys at California Labor Law Employment Attorneys Group are ready to evaluate your claim and provide you with all the information that you need to take action against your employer. California Labor Law Employment Attorneys Group is an employment law firm with many years of experience handling a number of employment claims, such as wrongful termination claims. If you would like to discuss your wrongful termination with the experts at our law firm, contact us today. Wrongful termination occurs when an employer makes the employment decision to terminate an employee based on unlawful reasons. Some of the most common unlawful reasons behind wrongful termination include discrimination and retaliation, for example. Some of the laws relevant to wrongful termination based on discrimination include Title VII of the Civil Rights Act and the Fair Employment and Housing Act, for instance. In addition to these laws, many laws prohibit termination in retaliation for exercising a basic employee right, such as requesting to go on leave, for example. An employee is fired because he is considered to be too old for the job. An employee is fired because the employer does not trust people of her specific race with important tasks in the workplace. An employee is fired after participating in an investigation against an employer. An employee is fired for refusing to participate in illegal activity. An employee is fired after requesting to go on medical leave. Although there are countless reasons for terminations that are perfectly legal – such as work performance and misconduct, for example – employees continue to terminate their employees for illegal reasons. If you believe that you were wrongfully fired from your job at Hulu, do not hesitate to contact the experts at California Labor Law Employment Attorneys Group at your earliest convenience. Our lawyers are ready to provide you with all the information that you need to take action against your employer. You were wrongfully terminated from your job with Hulu; now what? What can you do? What are your options? Do you have the right to do anything against your employer? What can you do to take action against Hulu after being illegally fired? As an employee subject to wrongful termination, there are a few options available to you in terms of taking action against your employer. You have the right to file a wrongful termination charge through the Equal Employment Opportunity Commission (EEOC). The EEOC is a federal employment agency that enforces all federal employment laws and handles all federal employment claims when they arise. To pursue a charge of wrongful termination through the EEOC, you will have a total of 300 days (in California) to file your claim. If you are out of California in any state without a state employment agency, you will only have 180 days to file your charge. You have the right to file a wrongful termination charge through the Department of Fair Employment and Housing (DFEH). The DFEH is a state employment agency in the state of California that enforces all state employment laws and handles all state employment claims. To pursue a charge of wrongful termination through the DFEH, you must be aware of the 1 year timeline that applies to your claim. You have the right to file a civil lawsuit for wrongful termination against your employer. You must first be granted the right to sue from the EEOC or DFEH. After being granted the right to sue from the EEOC, you will have a short 90 days to pursue your civil lawsuit against Hulu. After being granted the right to sue from the DFEH, you will have only 1 year to pursue your civil lawsuit against Hulu. If you would like to learn more about your right to pursue charges through the EEOC and DFEH, as well as your right to pursue a civil lawsuit against Hulu, do not hesitate to seek legal assistance from the attorneys at California Labor Law Employment Attorneys Group. Our wrongful termination lawyers are ready to provide you with all the information that you need to understand the many options available to you after being wrongfully terminated by Hulu. Lost wages – compensation for all the income lost as a direct result of the wrongful termination; this includes both back pay and front pay. Lost benefits – compensation for any and all benefits lost as a direct result of the wrongful termination; this includes any benefits like health insurance, life insurance, stocks, and retirement funds, for example. Pain and suffering – compensation for all the mental and emotional distress caused by the wrongful termination suffered; this includes compensation for any depression, fear, anxiety, embarrassment, or any other mental/emotional affliction caused by the wrongful termination. Punitive damages – compensation awarded as a form of punishment against the employer; designed to prevent instances of wrongful termination from reoccurring. If you would like to learn more about the specific type and amount of compensation that you might be eligible to receive if your wrongful termination claim is successful, do not hesitate to contact the experts at our law firm as soon as possible. Our wrongful termination attorneys are dedicated to you and your claim – meaning that they will constantly fight for your right to recover the compensation that you deserve. If you are ready to allow our experts on wrongful termination to handle your claim against Hulu, do not hesitate to contact us and request to speak with our lawyers. How long were you working with Hulu before you were wrongfully terminated? Were there suspicious circumstances surrounding your termination? 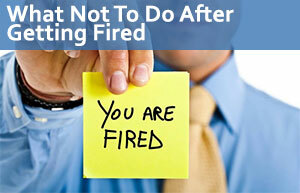 Were you mistreated in the workplace prior to your termination? Were any of your basic employment rights violated before or during your termination? If you believe that you were wrongfully terminated from your position within Hulu, you might have grounds to take action against your employer. Wrongful termination is illegal and could be grounds to pursue an employment claim against your employer. If you would like to learn more about your right to take action against your employer for your wrongful termination, do not hesitate to seek legal assistance from the experts at California Labor Law Employment Attorneys Group as soon as possible. California Labor Law Employment Attorneys Group is an employment law firm that has dedicated many years to representing employees who have been victimized in their workplace. The wrongful termination attorneys at California Labor Law Employment Attorneys Group are ready to provide you with the guidance that you need to take action against Hulu. If you would like to discuss your claim with the wrongful termination experts at California Labor Law Employment Attorneys Group, contact our law firm at your earliest convenience. Our law firm is designed to remain accessible to all employees who have been affected by wrongful termination. To ensure that all victims of wrongful termination have access to our expertise, our firm offers both free consultations and free second opinions. During our free consultations and free second opinions, our knowledgeable employment attorneys will be available to provide you with all the information that you need to take action against your employers. Our wrongful termination lawyers are ready to answer all your questions, address all your concerns, and provide you with the guidance that you need to take action against the employer that wrongfully terminated you. If you would like to schedule a free consultation or free second opinion with the knowledgeable attorneys at California Labor Law Employment Attorneys Group, do not hesitate to contact our firm as soon as possible to benefit from our free legal services. The free consultations and free second opinions mentioned above are available to you and all other employees affected by wrongful termination as part of our Zero-Fee guarantee. Our Zero-Fee guarantee ensures that our clients never have to worry about having to pay and upfront legal fees for any of our legal services. Therefore, you will never have to worry about any expensive legal fees to discuss your claim with our attorneys or take action against your employer. Our law firm is also strictly based on contingency. What does this mean? Our contingency structure means that you will not be required to pay anything until after your claim reaches a successful outcome – if your claim is not successful, you will not have to pay anything for our legal services. If you are ready to discuss your claim with the wrongful termination attorneys at California Labor Law Employment Attorneys Group, contact us today.